In the decades since the assassination of President John F. Kennedy, some have asserted that multiple versions of important evidence exist. While this is possible in certain instances, serious questions remain without presented evidence and the ability for critical public review. 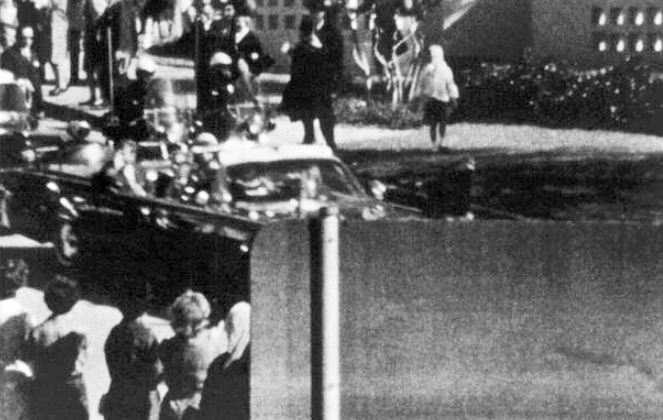 Greg Burnham and James Fetzer discuss at length the asserted existence of an alternate film of the Kennedy assassination. Burnham claims to have viewed the "Other" film and believes it constitutes additional support for conspiracy but reaching an independent conclusion based on the majority of primary evidence is the most credible standard. Corroboration of evidence and unbiased research is essential and creating a hypothesis to serve without substantial evidence is not beneficial, it is speculation. Multiple sources allow us to refine what a claim is by comparison and to disregard reasonable standards of inquiry damages any serious attempt at reaching a consistent idea regarding these events. In cases of alteration, suppression, and feasible mischaracterization, some official evidence supports conspiracy but to support or dispute the official record demands we must examine its contents. "The people who criticize, you know, folks who scrutinize this film (the Zapruder film) tend to look at some of these things and say, Well your making something out of nothing, you're going on your gut, or you're going on your feeling. Well I will tell you what; I have never seen a film that feels like that when you're watching it...My impression was they were cutting out parts to make it less brutal, maybe they did some editing because they were planning on showing it on television more often...In fact, people who realize without any doubt in their minds there was a conspiracy to assassinate the 35th President of the United States, John F. Kennedy in broad daylight. Those people who agree with that, still have a reluctance to really look at the evidence on the Zapruder film alteration side of this. Their argument is that in many ways has been evidence that has been used to poke a lot of holes in the official story. Because it apparently shows, that there appears to be anyway a shot that originated somewhere from the front. You know there is a lot of problems with that kind of reasoning, because the same film was also used by the Warren Commission to say that a lone gunman had did it from behind...Under the circumstances and conditions, that I am not going to go into, that I was viewing this film, and I will also say it was not just one single viewing, it was several viewings, over several occasions over a number of years....."
If someone has not gathered independent expert analysis, nor can provide substantial corroborating evidence, their critique is not fact, nor evidence. It is a hypothesis and Burnham states a problem of critics is they claim, "...you're going on your gut, you're going on feeling. Well I will tell you what; I have never seen a film that feels like that when you're watching it." Thus, some of Burnham's critics were correct that impressions not evidence are insufficient. I do not doubt Mr. Burnham has reviewed various films in his research and he claims to have viewed an extended film of the assassination possibly taken by an unknown camera operator. Yet he will not describe in detail the circumstances regarding his viewing, or the source providing it. He additionally cannot produce this film or substantial evidence to support its existence and we have nothing for comparison to verify it. We have merely his interpretation of the asserted film. Burnham states, "My impression was they were cutting out parts to make it less brutal, maybe they did some editing because they were planning on showing it on television more often." It is possible nefarious intent altered similar films, yet without evidentiary corroboration, it is highly improbable and his "impression" is a vital part of his claim. Akin to the previous suppression of opposing views, Burnham is dismissive of the Zapruder film because the President's Commission used it as supporting evidence. He chides fellow advocates for not dismissing the publicly available film to accept his impressions of the asserted one. Burnham's idea does not allow inspection and use of evidence because of his assumptions but what primary evidence could someone use when applying this style of inquiry? Repeated proven contending evidence exists within the official record; all this would be unavailable if someone allowed feasible bias to serve as fact. "At the time, I did not realize the details would be so important (the details of the "Other" film) in terms of comparing to the extant (Zapruder) film. So of what I am going to tell you will be impressions, and some of what I tell you, I am going to call facts. In other words in the sense, now this I'm not doubtful about at all. A couple of things here, this is my best recollection, I'm not as certain of it...Initially as that car made the wide turn (the Presidential limousine), there may have been a stop around the corner of Houston and Elm, if this was not quite such an important thing, I would say yeah it stopped. My best recollection is the truth is I'm not positive, it just really slowed down, it came practically to a rolling stop..."
Mr. Burnham states his impressions will be referred to as "facts" and these are founded upon his lack of doubt. These ideas are based upon his "best recollection" and thus are not facts. These memories are Burnham's collected impressions of a past film he asserts to have reviewed over the years. While some may regard his impressions as valuable, unless the evidence is available for public review, it remains unproven and evidence must enjoy authentication by experts and be subject to reasonable criticism. I appreciate that Burnham concerning this matter states, "I'm just not willing to throw any individual agents were there under the bus because I really simply don't know..." To demonstrate feasible Secret Service complicity requires substantial evidence. Burnham asserts a "tremendous" amount of evidence exists to support Secret Service complicity without offering a single verified instance. Burnham does not offer the primary evidence that demonstrates agents repeatedly broke protocol, slept little, and some were drinking.ii These proven actions support the deeply flawed security measures without nefarious speculations and it is possible a high-ranking Secret Service agent was complicit. Yet without offering the necessary supporting facts, it remains a theory to assume Secret Service complicity and is no different from officials assuming Oswald is guilty. I agree there are many pieces of evidence to support a feasible conspiracy but an impression about a mysterious tape that is beyond expert verification does not qualify. Neither does Fetzer's location for Oswald agree with most witness placement of Oswald, I would suggest more elementary is utilizing the official record to prove official inconsistencies. While independent verified evidence and review is important, when the official record supports feasible conspiracy it possesses greater credibility. For instance, instead of Fetzer's claim based on contended testimony, perhaps Oswald's proficiency and the weapon in question are worth greater consideration due to the sole instance of experts to recreate the shots and verifiable deficiencies of the weapon. Primary evidence offers the unpracticed gunman, a makeshift gun strap, and that only a single expert was able to recreate all the shots once.iii iv v vi vii The President's (Warren) Commission itself provided this evidence and we could not possess it without consulting verifiable sources. We should consider all the evidence, and this requires considering official evidence, has Burnham consulted multiple experts? Does anyone possess a copy of this "Other" film for public review and why should anyone regard his claim of this alternate film containing what he determines to be "fact" without tangible proof? Evidence cannot be authenticated sight unseen and to demand this would resemble another tactic employed some advocates and officials to dismiss reasonable criticism as nefarious or ignorant. If we cannot review evidence, it cannot be conclusively supported or debunked. It can never be subject to public review but speculation and thus it remains incorrect to claim this asserted film is evidence without actual proof of its existence.